High energy rock and soul featuring an electrifying 4-piece horn section. The eight multi-instrumental men pushing Gran Torino cut their chops on old school Rhythm and Blues, rock, jazz and funk. “I like the concept of trying to bring back a more classic R&B sound,” explains Chris Ford, lead vocalist for GT. When the four-piece horn section throws its soul out over two hard-charging guitars, it’s like gasoline on a fire. Fanning the flames are bass, drums, piano and organ. It’s a sound that builds upon itself. 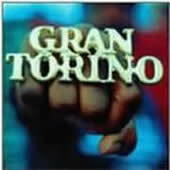 Help spread the word, and experience Gran Torino for yourself.